U.S. Rep. Scott Tipton, R-Cortez, won re-election Nov. 6 by an 8 percent margin over his Democratic challenger. The four-term congressman plans to focus on wildfire prevention and veterans, among other issues during his upcoming two-year term. Five days before Election Day, election forecast blog FiveThirtyEight predicted incumbent U.S. Rep. Scott Tipton had a nearly 90 percent chance of winning the election and keeping his seat. Sure enough, the Republican was elected to represent Colorado’s 3rd Congressional District for his fourth term by an 8 percent margin over his Democrat challenger Diane Mitsch Bush. Now, Tipton may faces a new challenge: He’s returning to a Democrat-led House after a wave of districts nationwide went blue. 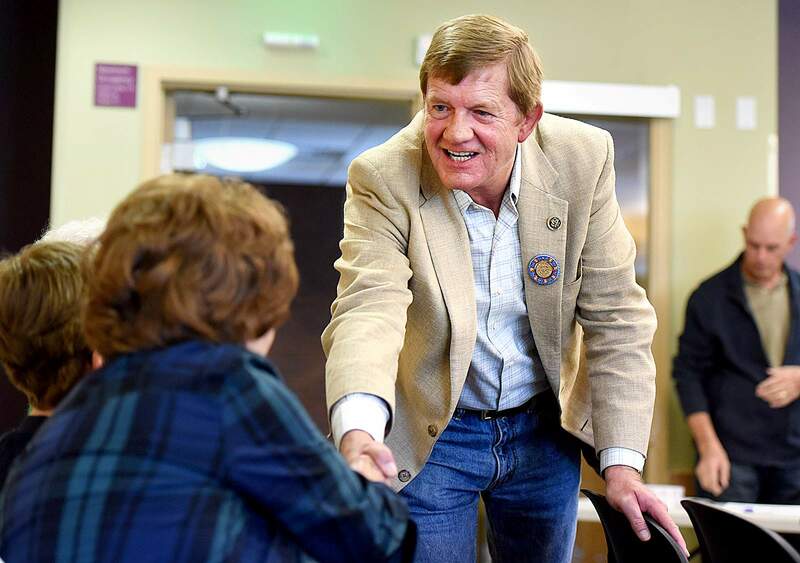 Tipton, however, told The Durango Herald he is not concerned about the Democrats’ leadership because he has been able to garner bipartisan support for the bills he has authored and passed, including his May 2018 Education and Energy Act. The act relocated new federal mineral and geothermal lease royalties back to the states to fund public education. Tipton promised during his campaign to address key issues with taxes, jobs, public lands, benefits for veterans and more. He said he plans to focus on those issues during his two-year term as well as federal assistance for natural disasters. Tipton said he will work to pass legislation introduced in early September that will create a federal designation for areas affected by wildfires on federal land, ensuring disaster assistance in the form of aids and grants. Tipton said the flood damage he witnessed at the Durango North/Riverside KOA campground from the 416 Fire partly inspired the bill. Tipton also reinforced his support for several other environmental policy bills that would address the prevention and aftermath of wildfires, including the Resilient Federal Forests Act of 2017, which passed the House last year and aims to remove restrictive regulations that prevent the U.S. Forest Service from allocating more time and money to wildfire prevention. The Farm Bill also includes reauthorization of the Landscape Scale Restoration Program, which Tipton said will allow the Forest Service to clean areas near public lands to prevent wildfires from breaking out. Other issues Tipton plans to tackle include legislation on opioid addiction prevention and treatment; legislation to improve benefits for veterans; small business deregulation; water rights and expansion of broadband into rural areas. Tipton previously included a provision he cosponsored with Colorado U.S. Sens. Cory Gardner, a Republican, and Michael Bennet, a Democrat, in the sweeping opioid bill signed into law by President Donald Trump in late October. Their ALTO Act established a permanent version of the Colorado Opioid Safety Collaborative Pilot, in which alternative painkillers were used and encouraged instead of opioids in hospitals. Tipton will continue to host roundtables with families affected by opioid addiction and with veterans in Colorado to get input from constituents. He will also continue to work on issues he addressed in his last term. He said he is grateful for the support he received during the election cycle throughout the district, especially from Pueblo and Huerfano counties. “We’re really appreciative of the support that we’ve received and look forward to continuing to work on priorities for the folks in our district,” he said.